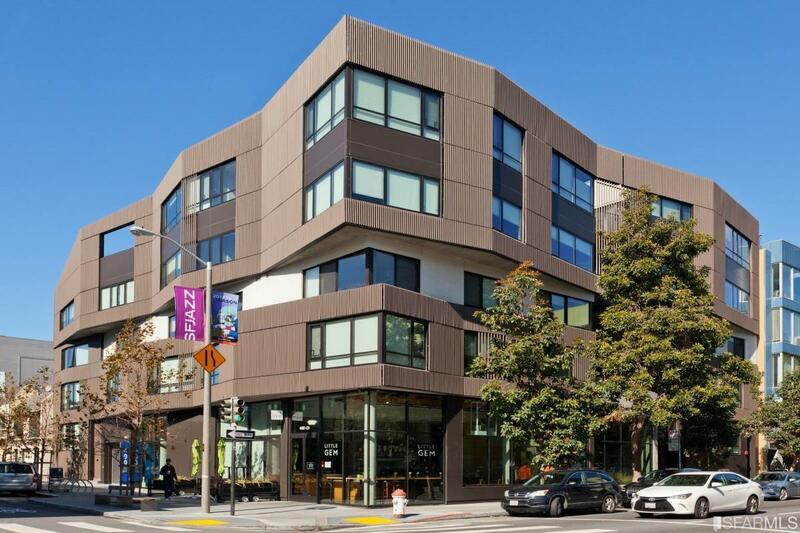 Completed in 2015, 400 Grove is home to 33 residences in the Hayes Valley neighborhood of San Francisco. Home sizes at 400 Grove include studios, one-bedroom homes, and two-bedroom homes. Building amenities include a rooftop terrace, state-of-the-art remote doorman service, and a courtyard with a bamboo grove. At the corner of Grove & Gough in Hayes Valley, 400 Grove served as a parking lot from 1992, when the Central Freeway was torn down after it was damaged by the Loma Prieta Earthquake in 1989. 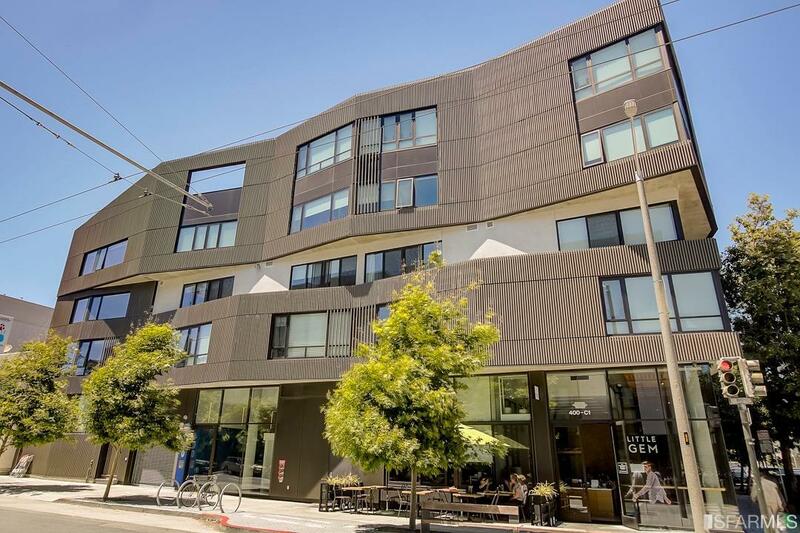 Designed by Fougeron Architecture, the building contains 33 homes — 29 market rate and four below-market rate. 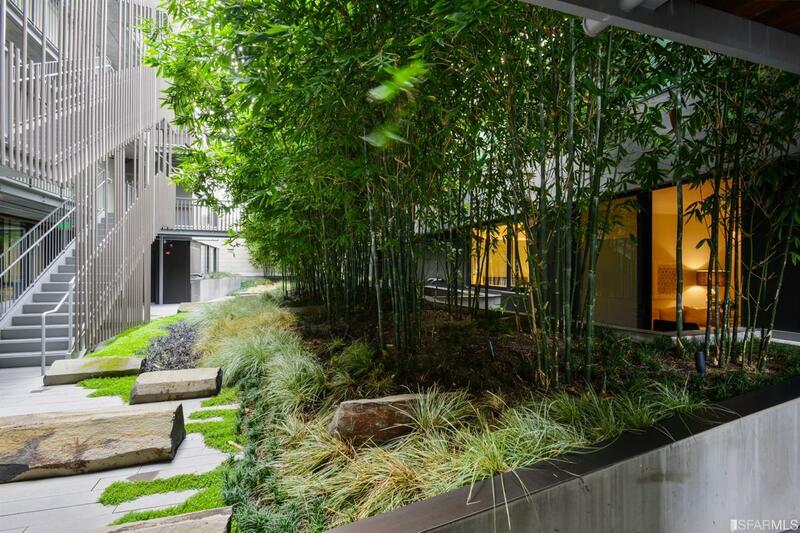 400 Grove is a C-shaped building surrounding a common courtyard containing what the architect describes as “monolithic stone seating” and a bamboo grove. Building materials include traditional wood, modern glass, stucco, and poured-in-place concrete. A commercial space, currently home to a restaurant with indoor and sidewalk seating, anchors the ground floor at the corner of Grove & Gough Streets. The finishes are very similar to 8 Octavia, but with a warmer color palette. Of the 33 condos in the building, one studio, one one-bedroom unit, and two two-bedroom units are BMRs. Get the info at the Mayor’s Office of Housing.